All3Media-owned UK producer Lime Pictures has appointed an exec from Amazon’s audio entertainment firm Audible to head up its development. Rebecca Fenton joins having worked across audio drama productions of The Jungle Book, Murder on the Orient Express and Blood on Satan’s Claw. She was most recently original content commissioner for Audible, working with talent including Dominic West, Rebecca Hall, David Tennant and Ruby Wax. 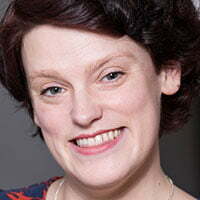 Lime has also added Alison Loose as scripted production executive, working across both drama and kids’ content. Most recently she worked in development at BBC Children’s and has credits on dramas such as Last Tango in Halifax, Scott & Bailey and Home Fires. Lime is behind Netflix original series Free Rein and recently appointed Angelo Abela and Tim Compton as heads of Lime Kids. Louise Sutton took the head of drama and young adults role last June, while Bryan Kirkwood is Lime’s head of continuing drama and Sarah Tyekiff is head of unscripted.